You are not the only one with a camera, Mark. 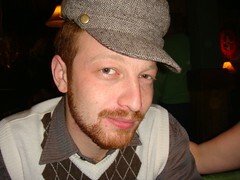 Posted on January 13, 2008 Categories drinking, friendsTags friends, Mark, photo, Sørens VærtshusLeave a comment on Cool hat! Nephew ended their latest tour yesterday in Tivoli. They had a few guests on stage (Peter Sommer and L.O.C.) and got through a lot of their popular material in great style. The lead singer, Simon Kvamm, got to use all his talents as entertainer – at one point he got into a light sabre fight with a man-sized bunny. In the end the bunny (played by a fan from the crowd) lost the fight and was ‘killed’ on stage by Simon. 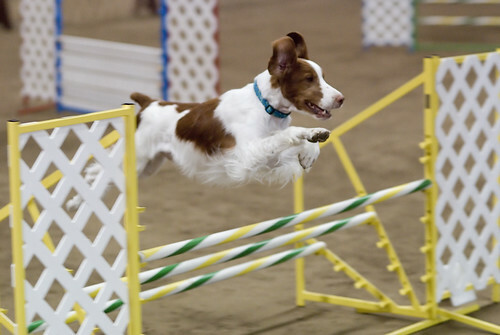 Posted on September 24, 2007 Categories concertTags Fredagsrock, friends, LOC, Nephew, party, Simon Kvamm, TivoliLeave a comment on The Bunny Got It! Jeg var til bryllup i weekenden. Joe og Ingrid blev gift i Sverige – og jeg var med. Det hele gik fint. De sagde ja til hinanden (og det er vel næsten det vigtigste ved et bryllup? ), der blev holdt gode taler (gomens tale til bruden var den bedste), der var generel underholdning, lækker mad og en god fest. Jeg var smadret dagen efter – om søndagen. Mandag kunne jeg også godt mærke at jeg ikke havde fået alt for meget søvn og min forberedelse kunne nok også godt have været bedre. Om nogle af eleverne bemærkede det ved jeg ikke… men der var ingen der sagde noget. Lige nu glæder jeg mig bare til snart at få en dag (fredag?) hvor jeg kan sove så længe jeg vil – det har min krop brug for. Posted on July 22, 2007 Categories concert, drinking, friendsTags beer, friends, Marie Key Band, party, Rasmus Nøhr, TivoliLeave a comment on Lækker fredags rock! Today I came home from a five day visit to Amsterdam. The trip did not start out in the best way. One of the guys in the group didn’t catch the plane and had to ride the train to Amsterdam instead – a trip that takes quite a bit longer than the two hours the rest of us had to spend on a plane. On top of that I left Copenhagen with a cold and a bit of fever (properly something I caught in the mud of Roskilde). When we finally arrived the weather was so-and-so and our hotel was located 8 kilometers outside the city center. 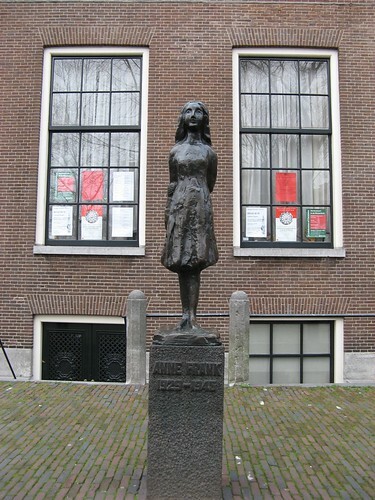 IMG_4079.JPG – Anne Frank Statue near the Anne Frank House in Amsterdam, originally uploaded by otzberg. All those things aside the trip went well. Except for a visit to the Anne Frank House we didn’t really ‘see’ anything. But for some reason just passing time and letting days pass by is not as hard as it might sound. I have unfortunately never read the Anne Frank Diary but did know her ‘story’. After visiting her former hiding place, reading it has moved up quite a bit on my mental ‘to do’ list. Posted on July 16, 2007 Categories friends, TravelTags Amsterdam, friends, party, TravelLeave a comment on I need a holiday after this vacation!